The calendar says it is still fall, however, the temperatures outside say that winter is here. I love the cooler weather and I love the fall vegetables even more. Needless to say, I have quite a few favorites for my fall comfort foods. Today is for Kale. Curly, leafy, dark-green, wonderful Kale. 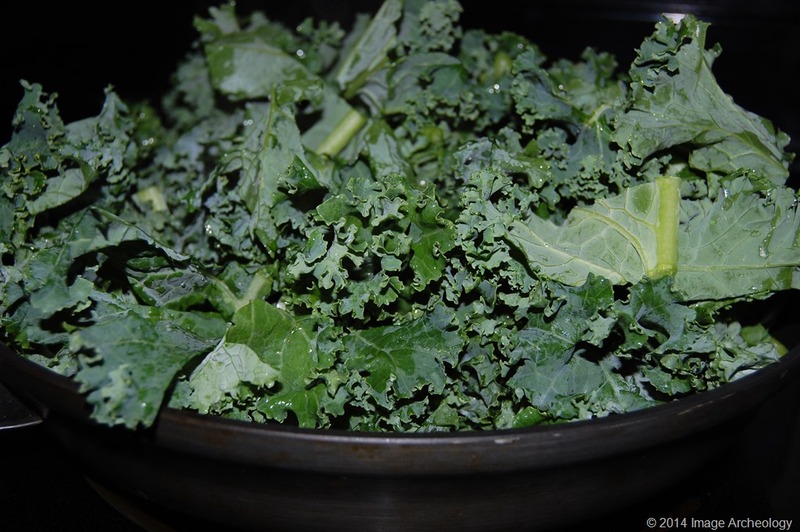 Steamed alone or used in soups and stews, kale is a wonderful vegetable to add to your diet. Filled with vitamin A, vitamin K, vitamin C, calcium, iron, vitamin B-6 and magnesium, and more, this leafy green adds a powerful nutritional punch to your meals. I actually crave this veggie on occasion! So I decided to cook it much like I do spinach, with plenty of garlic and onions and a little olive oil! First chop half of a sweet onion in smaller chunks, then finely chop 3 cloves of garlic and sauté over low heat in extra virgin olive oil until the onions sweat and are clear. 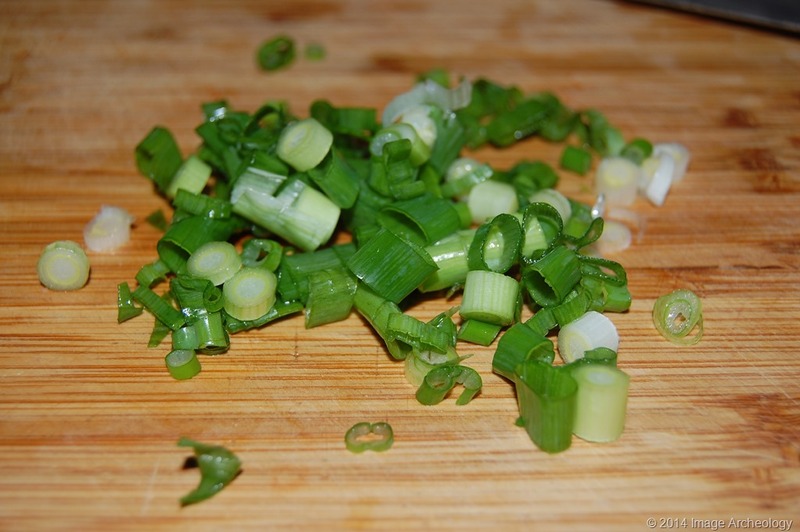 While the onions and garlic sauté, slice up a green onion (also known as scallions) including the white bulb. Add this to the onion and garlic mixture and sauté together. Wash and pat dry a nice bunch of fresh kale. Roughly chop into smaller pieces, taking care to remove any stems that may be tough. Pile this into the pan on top of the onions and garlic and toss together. Watch closely as it begins to wilt. I take care not to let it get too dark. Which is why I put about 1/3 cup of water into the greens and put a lid on it briefly. If you get distracted and let it sit a little too long, they don’t remain a bright green, which is how I prefer my greens. 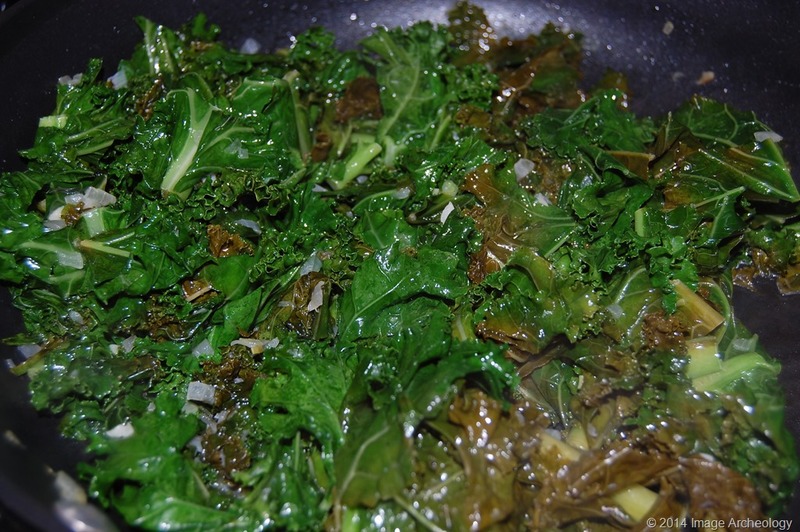 (Note in the photo below….I got distracted by two trouble maker feline children and my greens got a little too dark,) Sprinkle a pinch of kosher salt and freshly ground black pepper to taste. 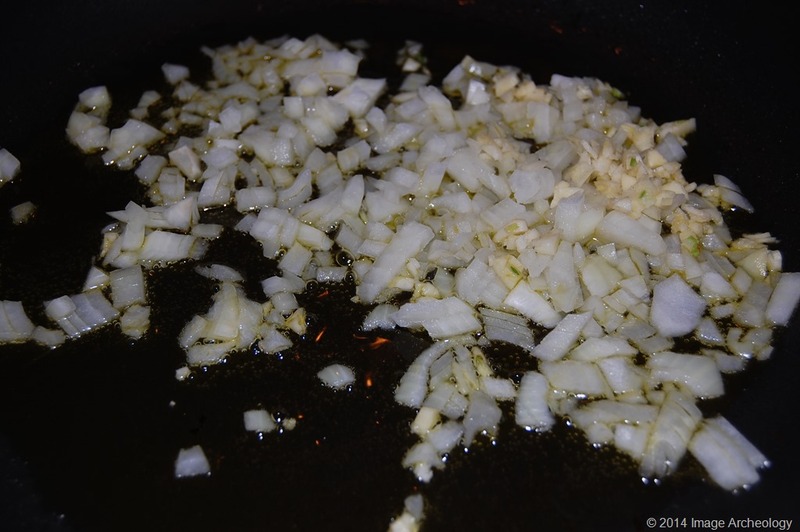 Sauté onion, garlic and green onion in extra virgin olive oil until soft. Add chopped greens and toss together. Pour water over greens and let steam in lidded pan until greens begin to turn really bright. Add pinch kosher salt and black pepper. Watch closely so greens don’t overcook and turn dark. Remove from heat and remove lid. Lightly toss into a serving bowl and enjoy. It doesn’t matter what anyone says, but nothing beats a nice big bowl of greens on a cold wintery day! Bon Appetit!